The left-hand exit will be switched to the right to eliminate lane weaving on the I-45 northbound ramp to southbound I-69 and State Highway 288. 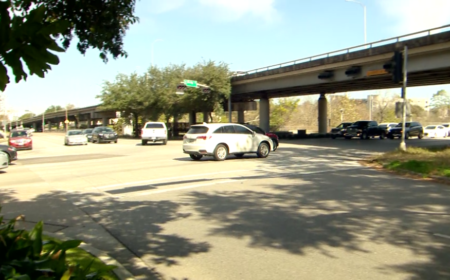 Drivers traveling near the University of Houston will face detours over the next few months as TxDOT starts rebuilding the connector ramp from I-45 northbound to I-69/SH 288 southbound. The $30 million project is designed to eliminate lane weaving that leads to crashes and congestion. The current ramp is on the left-hand side of the freeway and the new ramp will be on the right side. 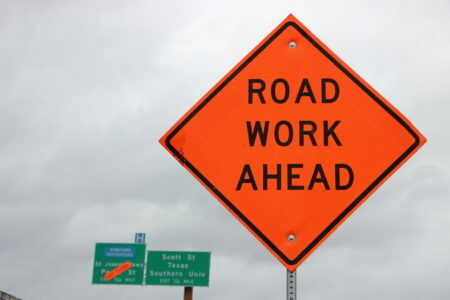 Starting Friday, January 25 at 9:00 PM, the current connector ramp will be permanently closed and the new ramp won’t be ready until June. 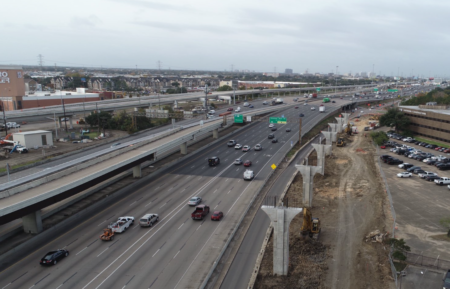 To access southbound I-69 while construction is underway, drivers northbound on I-45 will continue along the Pierce Elevated to I-10 East. 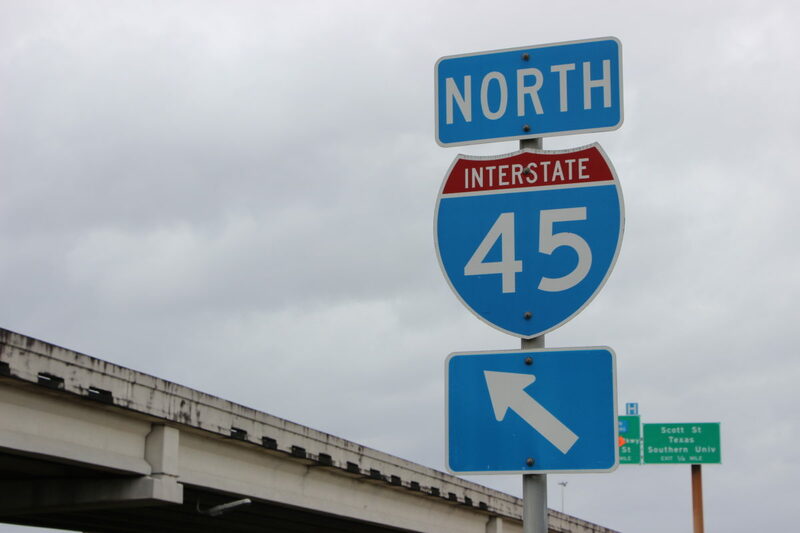 TxDOT will completely close the I-45 Gulf Freeway northbound main lanes from Cullen to the I-69 Interchange. 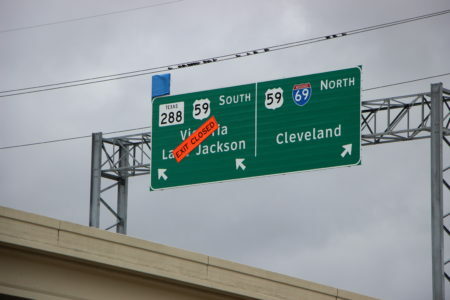 Drivers will detour to Spur 5 and take the Scott Street exit or the I-69 northbound exit. From Scott Street, drivers can proceed along the I-45 northbound frontage road to the Pease Street entrance ramp. Drivers taking I-69 northbound can travel to I-10 West and then back to I-45 North. 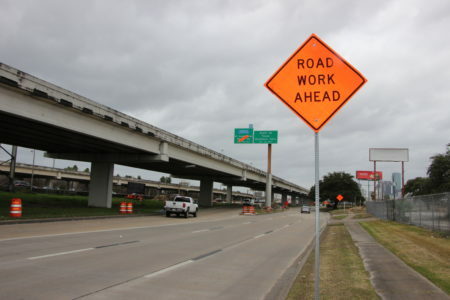 Crews will also close the I-69 southbound connector ramp to I-45 southbound. 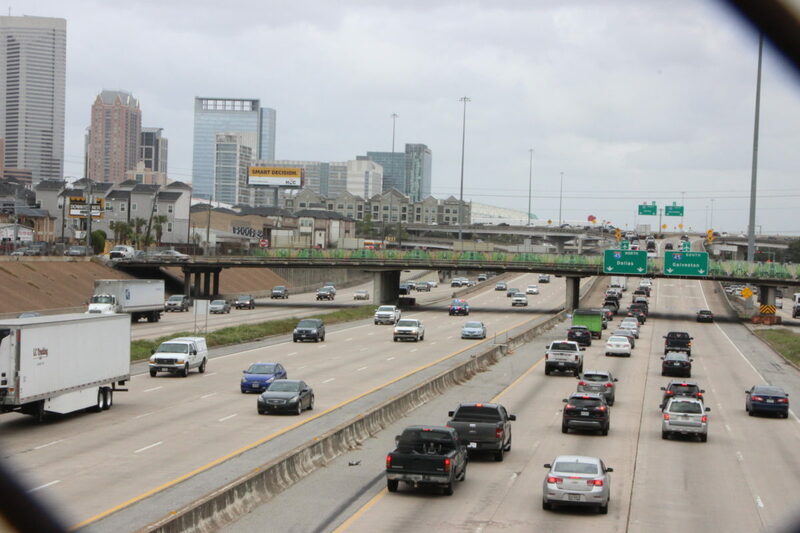 Drivers will take I-69 to I-10 West to I-45 South. In addition, the Pease/St. Joseph exit ramp will be closed. Drivers who normally use that exit will need to detour to I-69 North and exit Scott Street, and then take the northbound frontage road to Pease Street. To access St. Joseph, drivers can turn left on Emancipation to the St. Joseph intersection. Crews will close the I-45 Gulf Freeway southbound main lanes from Allen Parkway to I-69. Drivers on I-45 can detour to I-69 North or South. 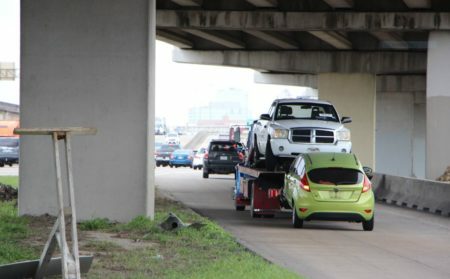 I-10 West traffic can detour to I-69 South to I-45 South. 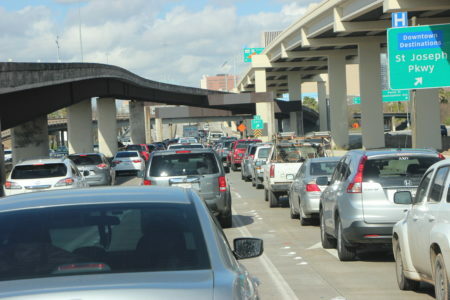 TxDOT is expecting heavy delays in the areas affected by the project. Drivers are encouraged to find an alternate route.